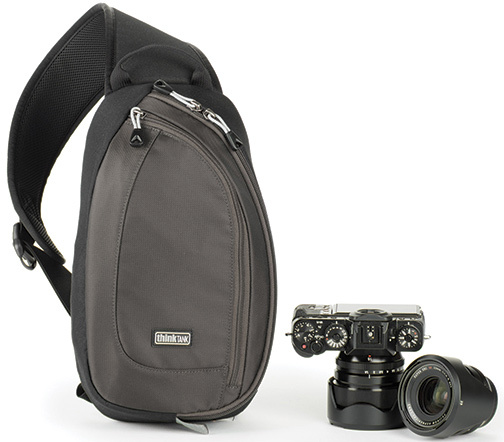 Santa Rosa, CA—For a casual day of shooting with a DSLR or mirrorless camera system, Think Tank Photo’s slim, body-conforming TurnStyle V2.0 sling bag is designed to allow photographers to move freely. This updated version offers a new stabilizer strap that holds the bag steady while actively shooting or tucks away when not in use. 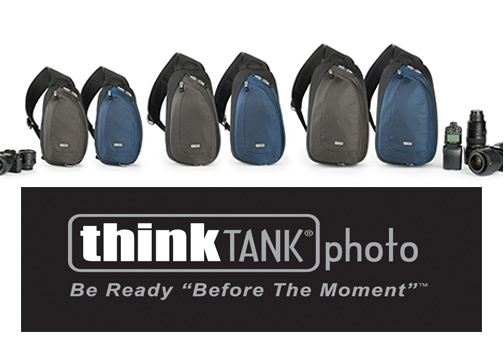 Think Tank designed the sling bags for easy rotation and rapid access to gear and accessories. 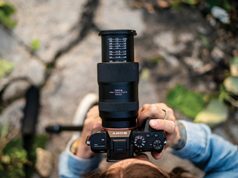 The TurnStyle 5 fits a mirrorless body plus two to four lenses as well as an 8-inch tablet. 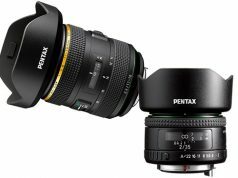 The TurnStyle 10 holds a standard-size DSLR plus one to two lenses plus an 8-inch tablet. 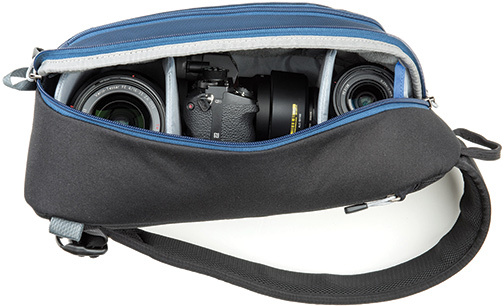 The larger TurnStyle 20 accommodates a standard-size DSLR plus one to three lenses and a 10-inch tablet. The new releases come in the traditional charcoal as well as in a new color, indigo blue. The slim, contoured, body-conforming design has a wide shoulder strap to provide a comfortable fit. The bags are made from lightweight materials and construction, such as a breathable 320G air-mesh back panel to keep the wearer’s back cool during long use. Storage features include a front organizer pocket for batteries, memory cards or other small accessories. A rear internal pocket holds documents. In addition, the bags’ interior dividers are customizable, and the slings come with a seam-sealed rain cover stored in dedicated pocket. In addition, all fabric exterior is treated with a water-resistant coating, and the fabric underside is coated with polyurethane for water resistance. Other materials include YKK RC Fuse zippers, 420D velocity nylon, 550D polyspun, 320g air mesh, nylon webbing and three-ply bonded nylon thread. inches. The TurnStyle 5 has a maximum weight (with all accessories) of 0.8 pound. In addition, its shoulder strap measures 32–64.5 inches and its stability strap is 58.3 inches. The TurnStyle 5 V2.0 has a suggested retail price of $75. TurnStyle 10 V2.0. 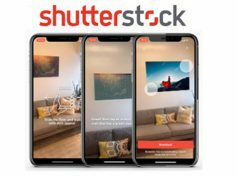 It offers interior dimensions of 7.1×12.6×4.8 inches and exterior dimensions of 8.3×15.4×5.2 inches and includes a 6.3×8.7×0.4-inch tablet compartment. It weights 1.0 pound with accessories. 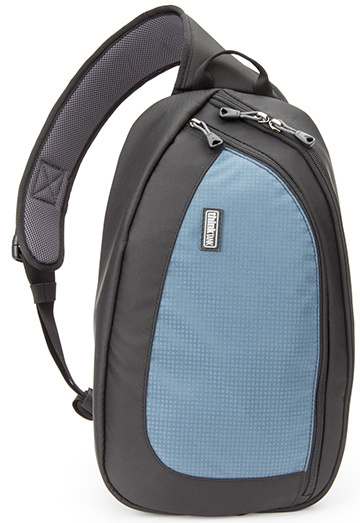 The TurnStyle 10’s shoulder strap measures 35–68.3 inches and its stability strap is 59.3 inches. It has an SRP of $85.